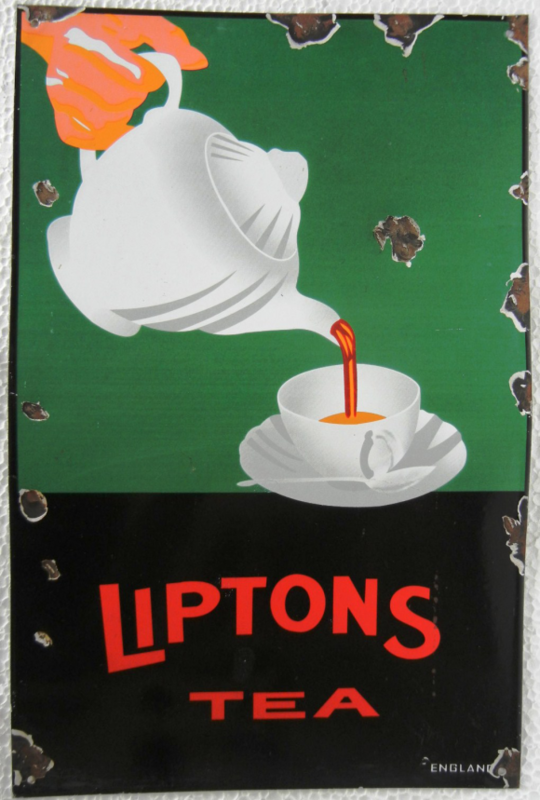 This is a rectangular Liptons Tea porcelain sign. This particular Liptons Tea sign is green and black with red text. It reads, “Liptons Tea” and features a white teapot pouring tea into a white cup and saucer.